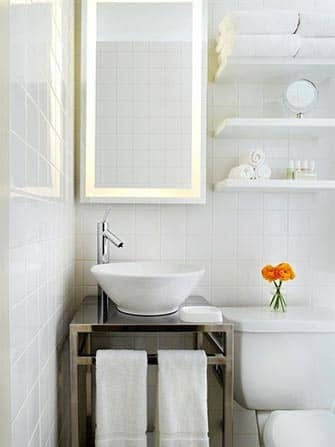 The Hudson Hotel in New York is a luxury design hotel, right in the centre of the city. 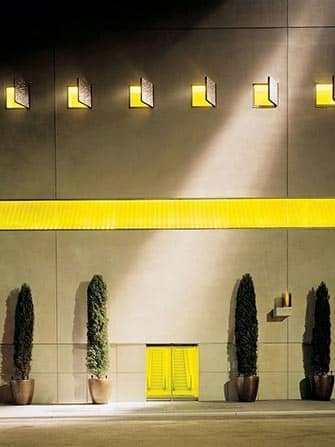 This four star hotel offers a lot of services and amenities to ensure an unforgettable stay in Manhattan. 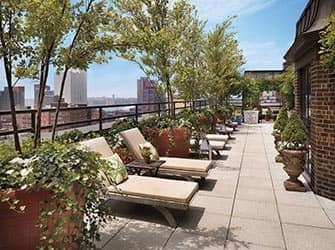 A great highlight of this hotel is the beautiful views of the city and the Hudson River, from it’s rooftop. The Hudson Hotel also has a cocktail bar with a glass floor! 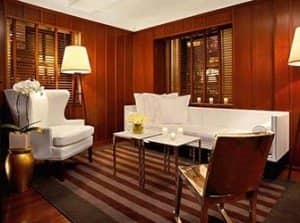 The Hudson Hotel in New York is conveniently located within walking distance of many well know attractions. Central Park is just a five minute walk away! In addition, you can easily reach the Theatre District and Times Square, on foot. It is also possible to quickly reach other parts of the city, from nearby Columbus Circle subway station. 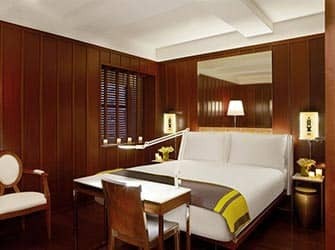 The 831 rooms at the New York Hudson Hotel vary in size, luxury and facilities. Stylishly decorated, (though sometimes small) bedrooms all have a private bathroom, hairdryer, air-conditioning, telephone, safe, flat screen television with DVD and CD player, wireless internet access, desk and a minibar. All rooms are strictly non-smoking and pets are accepted at an extra cost.